The Nuclear AMRC metrology group provides dimensional metrology technologies and services to our manufacturing research groups and industrial partners, and leads research in large-volume metrology. Based in dedicated facilities alongside the Nuclear AMRC workshop, the metrology team supports the research groups by qualifying novel parts and processes to make sure that they meet specification. We offer a host of specialised services including in-process and post-process inspection, real-time deformation monitoring, and reverse engineering. Our metrology engineers are fully trained and NPL accredited. We also offer expertise in non-destructive testing (NDT), and can draw on the wider structural testing and microscopy resources of the University of Sheffield AMRC. For more information, contact Carl Hitchens, Nuclear AMRC head of machining and metrology. The gold standard for metrology for manufacturing. Used for component and test piece verification, and validation of alternative metrology techniques. Range of CMMs housed in temperature-controlled and vibration-isolated facilities. Hexagon DEA Delta capable of taking parts up to 6 x 3 x 2 metres – the largest CMM capability in the High Value Manufacturing Catapult. Leitz PMM-C capable of sub-micron resolution on parts up to 1.2 metres length – the most accurate CMM capability in the High Value Manufacturing Catapult. 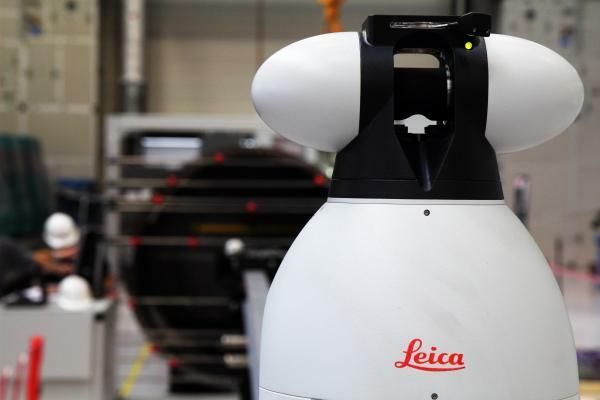 Leica AT901 laser tracker and T-Probe for inspection and assembly tracking of very large components. Nikon Metrology laser radar, offering remote operation for restricted access areas. Range of portable systems for the fast capture of surface data. We are an early adopter of the NPL FreeForm reference standard. GOM ATOS III structured light and Cognitens WLS400M photogrammetry systems to rapidly capture surface coordinates of components, for comparison with CAD data or for distortion analysis. Laser line scanners for measuring surface geometry. Range of on-machine tools – including Renishaw’s Sprint system – to inspect and measure components while mounted in machining centres. Vibration analysis for identifying sources of machining chatter and precautionary maintenance. Ultrasonic probes for in-process tracking and monitoring of tool position, and automated inspection of bores and deep holes. Extensive expertise in residual stress measurement. 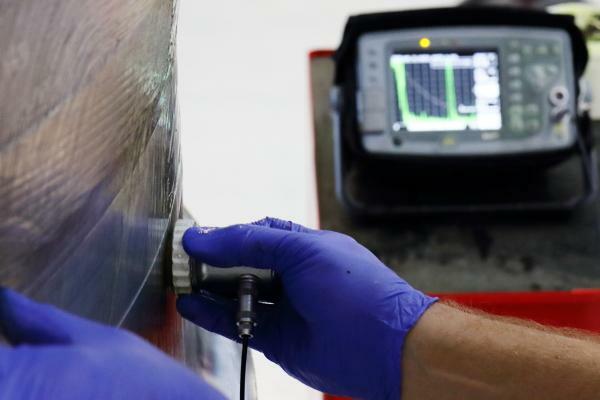 Visual, dye penetrant and magnetic particle inspection to identify material surface flaws. Ultrasonic inspection of interior flaws using pulse echo, phased array and time of flight diffraction techniques. Eddy current inspection to identify surface cracks.